In this month's issue, read the Cardiology Interventions cover story on cath lab robotics & learn more about IC's heightened cataract risk. 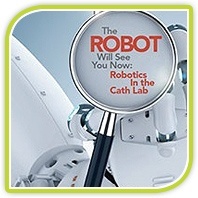 This month’s Cardiology Interventions cover story highlights robotics in the cath lab and the benefits of CorPath GRX. The idea of robotics in healthcare may seem like something out of science fiction, but for many facilities, it is becoming the norm. Recently, we’ve seen data from the PRECISION Registry proving the safety and effectiveness of robotic-assisted PCI; and the CORA-PCI Trial showed the CorPath System’s ability to perform in complex PCI. With the expanding capabilities of vascular robotics, coupled with the benefits of precision and reduced radiation exposure to the primary operator, we expect to see this technology continue to grow in healthcare. The July issue of Catheterization and Cardiovascular Interventions included a write up of a meta-analysis warning interventional cardiologists of their increased risk for developing cataracts. 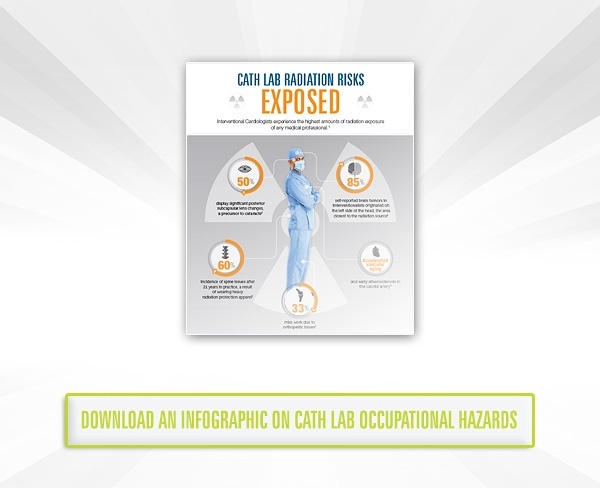 These findings highlight the importance of using protective equipment, including lead glasses, in the cath lab. The meta-analysis looked at data from eight studies, conducted between 2010 and 2015, which included over 2,500 interventional cardiologists and cath lab staff who had been working in the IC field for 5-20+ years. Posterior subcapsular cataracts were found in 33.4% of interventional cardiologists – a much higher rate than unexposed controls. Proper protection is crucial for interventional cardiologists to protect themselves and their eye health. Earlier this month, Jackson Madison General County Hospital installed two CorPath GRX Systems and is the first hospital to launch a vascular robotic program in the state of Tennessee. In a recent press release by the hospital, Jackson Clinic cardiologist, Dr. John Baker, discussed the importance of precision during PCI procedures, a major benefit of CorPath GRX. 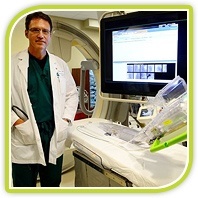 He also recognized that by performing robotic-assisted PCI, he is able to remove himself from the harmful effects of radiation exposure while sitting in the Interventional Cockpit. We are excited for the team at Jackson Madison General County Hospital and their pursuit of building a successful robotic program!